Today’s post is dedicated to all the supporters of marriage equality, all the people who asked for what they wanted and claimed their own power. It has been a long, painful struggle being part of this movement. Yesterday’s US Supreme Court decision on Prop8 and DOMA showed the importance of speaking up ourselves and owning our power. Thank you to all the supporters and to all the people who over the last 5 years were brave enough to look in to their own hearts and be open to changing their minds about what marriage means and civil rights. 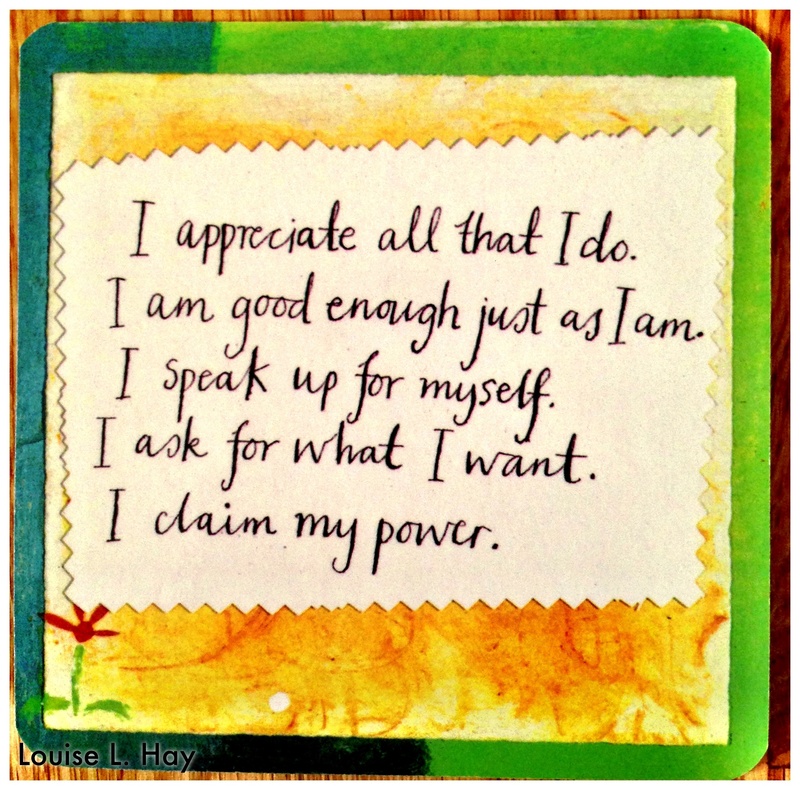 The Louise Hay card pictured above is the Power Thought Card I picked today. I try to read 1 card a day to start my day off with the right attitude. The advice applies to all walks of life, not just our civil rights. We need to speak up for ourselves, ask for what we want and and claim our power in our relationships, our jobs, and in our daily lives.